Well 2018 has started and it’s been very exciting. ~ So far I’ve had some great school visits – to Assisi College, Marist Ashgrove, Brisbane State High, Mt Gravatt High, Ambrose-Treacy College and Queen of Apostles Primary School, plus a fun Skype session with a Grade 8 class studying The Running Man at Casimir Catholic school in Marrickville, Sydney. ~ At the end of January Carl Hanser published their fantastic German edition of The Pain, My Mother, Sir Tiffy, Cyber Boy and Me: Die Nervensäge, meine Mutter, Sir Tiffy, der Nerd & ich. It was also released on audio by HÖRCOMPANY. I’ve been really thrilled with the excellent reviews it has received so far. ~ In mid-February my wife and I had a few lovely days up at O’Reilly’s Rainforest Retreat relaxing and getting up close and personal with the local fauna and flora. ~ I also had a visit from from Professor Dr Thomas Möbius from the University of Giessen Germany. Thomas had previously published a German study text on The Running Man and while he was in Queensland he dropped in to interview me for something else he is writing about my other books. I’d only spoken to him via emails before so it was great catching up in person. A lovely man. ~ In early March my wife and I went ‘bush’ again (well, sort of) and spent four days at the beautiful Fraser Island Kingfisher Bay Resort. On the four hour drive up to Hervey Bay from Brisbane to catch the ferry we passed through Tiaro home of many of my forebears, including my grandfather Arthur Bauer whose name, along with his brother’s, appears on the Tiaro War memorial. ~ At the end of March I attended a wonderful event held at the Brisbane City Hall for the announcement of the 2018 CBCA Shortlists and was blown away when Rodney Loses It! made the cut in the Book of the Year Early Childhood category. I’m am thrilled and honoured to be among these great books and wonderful authors & illustrators. A huge thank you, and congratulations, to Chrissie Krebs who brought Rodney and his manic personality so beautifully and hilariously to life. Check out Chrissie’s book This Is a Circle. At the City Hall Short-list announcement …. ~ In April we managed to attend one event at the Commonwealth Games on the Gold Coast. Thanks to the generosity of some friends we got to see Australia V England and Canada V New Zealand in the semi finals of the Beach Volleyball. Great fun. As you can see in the above photo, we attended the show with our son Joe (illustrator of the Eric Vale /Derek Dale series) and our daughter-in-law Rita Artmann. Some of you might know of Joe and Rita ( ARTSPEAR ENTERTAINMENT) through their independent comedy films The Killage and Australiens or their comedy series The Void (season 2 of which is coming soon). Or you might be one of the 410,000 people who have subscribed to their You Tube Channel TOON SANDWICH to watch their very popular and hilarious animated movie trailer spoofs. If you are a TOON SANDWICH fan and you loved their SUPER HEROES BOWL animation (currently on six and half million views) then here’s some very good news. Within the next week or so Joe and Rita will be finally releasing to their You Tube Channel the eagerly anticipated follow up video: SUPER VILLAINS BOWL. That’s right! All the villains from just about every action and super hero film you can think of, will battle it out to the death. This major project has taken over five months of intensive work and as always, everything you see and hear (including the voices of every single character) is all just Joe and Rita. But the BIG QUESTION is, who will be the last Villain standing????? Only one way to find out. Check out their TOON SANDWICH page, watch all the other videos and while you’re there, why not join the ever-growing throng and subscribe. That way you will be notified immediately when Super Villain Bowl is up. How convenient is that? Also, you can check out a whole range of ArtSpear mechandise HERE (including some great tees based on the Eric Vale and Derek ‘Danger’ Dale books). Of course, it’s highly unlikely you’ll look as good as daughter Meg and me but still … worth giving it a try at least. 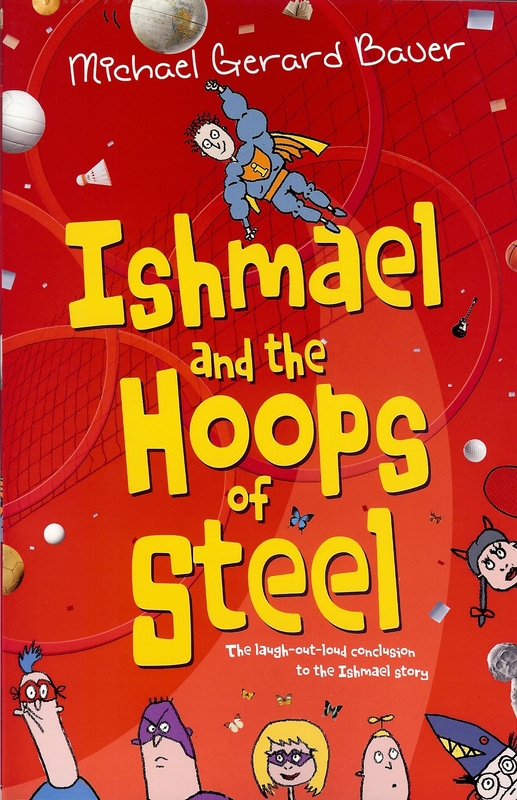 This entry was posted in Uncategorized and tagged A Very Theatre Company, Ambrose-Treacy School, Artspear Entertainment, Assisi College, Australiens, Brisbane State High, Carl Hanser, Casimir Catholic College, CBCA Notables, CBCA Short-list, Chris Thomson, Chrissie Krebs, Commonwealth Games, Derek Danger Dale Series, Die Nerwensage Meine Mutter Sir Tiffy Dre Nerd und Ich, Don't Call Me Ishmael, Don't Call Me Ishmael: The Musical, Dr Thomas Mobius, Eric Vale Series, Fin Taylor, Fraser Island, Horcompany, Joe Bauer, Kingfisher Bay Resort, Marist Ashgrove, Mt Gravatt High School, O'Reilly's Rainforest Retreat, Queen of Apostles, Rita Artmann, Rodney Loses It!, Schonell Theatre, The Killage, The Pain My Mother Sir Tiffy Cyber Boy and Me, The Running Man, The Void, Tiaro, Toon Sandwich, Underground Broadway, University of Giessen, University of Qld. Bookmark the permalink. 2 Responses to blog 107: In which I officially begin 2018. As always, great to see another blog. So many interesting things you’ve been up to. Cheers Gabriella! Lovely to catch up with you at the Ishmael Musical.